Nick Warren has swum backstroke in the middle of the Atlantic Ocean, directed a TV commercial for an international airline, and (accidentally) taken a Mensa test in his pyjamas. It 1997 he founded a UK-based web consultancy – Semantic – which won clients in North America, Europe and Asia. In 2018, after twenty years as Managing Director, he sold the business to focus on writing. He’s currently renovating a 16th-century cottage near Winchester in the UK, where he lives with his wife, children, and the voices in his head. Email him at nick@nickwarren.com, or say hello on Facebook or Instagram. 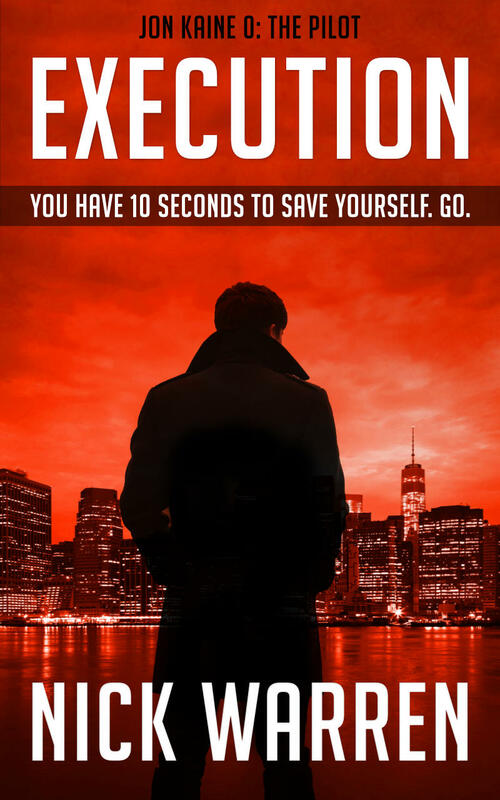 Execution is a 24,000 word novella with over 600 5 Star Reviews on Amazon & Goodreads. Join my mailing list and get the Jon Kaine pilot thriller FREE.